shopping for Lenin and Stalin busts, soldiers uniform, masking suits, Navy flags, watches, silver coins, officers badges, buy various antiques and collectibles devices from Soviet Union. Also You can get acquainted with culture of past USSR era, Red Army Stuff and current Russian militaria. The items are often bought by collectors, reenactors, museums and used on historical plays in theaters. , outdoor actions, hunting, Halloween party and costume holidays. 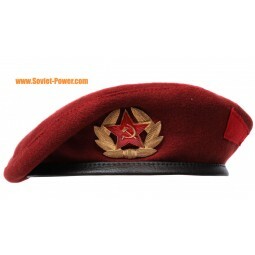 Fast worldwide international AirMail shipping, top quality items and service from Soviet Power. Much time passed from Soviet Union epoch to Russian federation. Military clothing and equipment was modernized and both variants old and modern are in demand: reenactors, airsofters, hunters, military-style fashion people, costume designers and many other. Russian products are famous all over the world, old USSR clothing is know for simplicity and reliability, the majority of latest tactical equippment shows that it is has much better quality and functions than foreign international analogues.